The problems existing in the current development of China's electronic copper foil industry can be summarized as: "two gaps increase" and "a business crisis exists." 1) The individualization of copper foil varieties among domestic enterprises in China is different in development direction and degree, and the gap between enterprises is increasing. At present, the differences in the direction of individualized development of copper foil varieties among different enterprises in China and the speed of advancement are more and more obvious, which makes the gap between enterprises' incomes increase. The development of individualized copper foil varieties refers to the full development of the company's own advantages (from technology, equipment, intellectual property, geography, market, energy, capital, upstream and downstream linkages, etc.) according to the needs of the market. 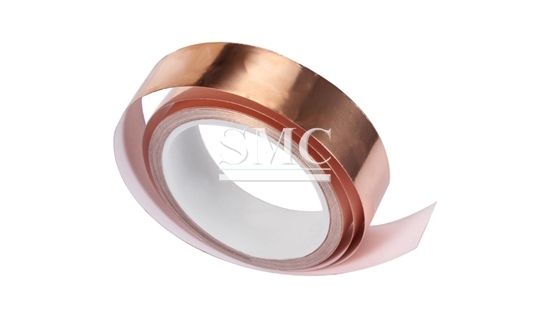 High-performance, high value-added, and high-potential copper foil varieties and characteristics. 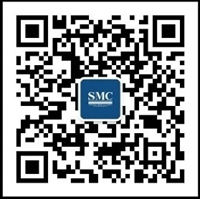 An enterprise develops a personalized copper foil variety, and develops its own brand of products, occupying a large market share of such varieties. This is the embodiment of the improvement of the technological level of the enterprise, the entry point of product structure transformation, and the improvement of business operations. One of the important ways of the industry's low status. "There is no regularity in the army, and the water is inconstantly shaped ("Sunzi's Art of War and Road"). Each enterprise develops the individuality of copper foil varieties and characteristics according to its own advantages, and cannot copy other companies' business models in this regard. In recent years, in the world copper foil industry and the market, major changes have taken place: many Japanese copper foil enterprises that have large-scale production capacity and very advanced copper foil technology have been “slimming” in recent years. Or stop producing general-purpose copper foil varieties. At the same time, their high-end copper foil varieties have accelerated their pace and their performance levels have increased. In terms of penetration rate in the high-end, high-performance copper foil market, China's copper foil enterprises did not show a general improvement. In many high-performance copper foil markets, the demand scale has expanded in the past one or two years, and the threshold for entry has also increased. Under this background, the actual performance of China's copper foil enterprises in the improvement of the competitiveness of these high-end copper foils is not satisfactory. In the technical level of high-end copper foil products, the gap between Japanese companies and even some Taiwanese companies and Korean companies (referring to the purchase of US-funded copper foil companies in 2015) is increasing. 3) At present, China's domestic enterprises are facing a potential crisis of overcapacity and a sharp decline in operating efficiency. In recent years, domestic companies in China have been continuously developing the scale of conventional copper foils and the scale of copper foils for conventional lithium batteries that are currently "hot" in the market. In particular, since 2015, the expansion of large-scale production lines based on lithium-ion copper foil and the construction of new companies have been carried out blindly. According to the survey, China’s planned annual production capacity of the new lithium battery copper foil project during the “13th Five-Year Plan” period will reach 200,000 tons. At the end of the “13th Five-Year Plan”, the production capacity of lithium battery copper foil will reach 250,000 to 300,000. Ton. More "appetite", more enterprises, to compete for the "cake" of this lithium battery copper foil (2015 domestic production and sales of lithium battery copper foil 42,000 tons), China's domestic copper foil enterprise capacity blind expansion, new construction, must It will lead to a potential crisis of greater overcapacity in the future industry and a sharp decline in operating efficiency. In the face of the current trend of chasing the industry and turning to the current demand for lithium-ion copper foil market, another concern is that it may affect the copper foil for PCB. The relationship between supply and demand, as well as slowing down the pace of advancement of PCB technology for PCBs in domestic enterprises in China.